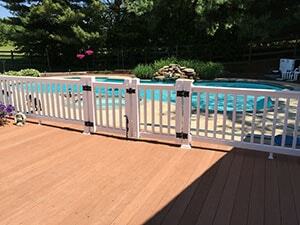 At Rustic Fence, Inc., we understand that your residential fencing and gate needs are important. We know the privacy and security of your home is just as important as its aesthetic nature and we strive to bring together design and function to our home fence projects. 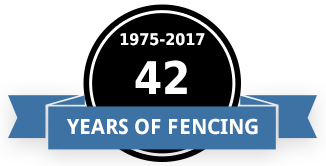 For over 40 years, we’ve been providing custom fencing solutions and quality installation by our professionally trained staff in the counties of Howard, Montgomery, Frederick, Carroll and Baltimore. We also have vast experience in protecting and securing your pets and livestock and want to make sure they stay as protected and contained as possible. We also have years of experience installing remote operated gates and specialty driveway gates. Give us a call today to see how we can help with your next residential fence project! There are many options when it comes to residential fences and it is important for a homeowner to review them all. Rustic Fence, Inc. can walk you through the many different options available and help you understand some of the things you might need to be aware of. Schedule a free appointment with us today. You’ll speak with the owners directly – no pushy salespeople or middlemen! We’re available for our customers to discuss their custom fencing and installation needs. No matter whether it’s a split rail fence, picket fence, PVC vinyl or ornamental aluminum fence, we can handle any size job providing competitive pricing. We focus on offering our residential fencing customers a high level of customer service and have built our business through hard work and determination. Family owned and operated since 1975, we’ve built our customer base through years of hard work and determination. We take great pride in providing you with top quality service and promise your complete satisfaction when choosing us for all of your residential and commercial fencing needs. Our company has developed and focuses on customer service practices based on courteous and professional service for all our clients. Serving the areas of Howard County, Montgomery County, Frederick County, Carroll County and Baltimore County.